Stumbled across this old picture and thought I would share. I like the "SADDLEBACK" license plate frame. When I bought my '74tii from Saddleback, they were down south in Mission Viejo, and still many years from moving north to Irvine. So what year was this pic taken? Definitely one amazing photograph! This is either 1986 or 1987. We purchased the 325i from Saddleback in 86 when they just moved to Irvine. 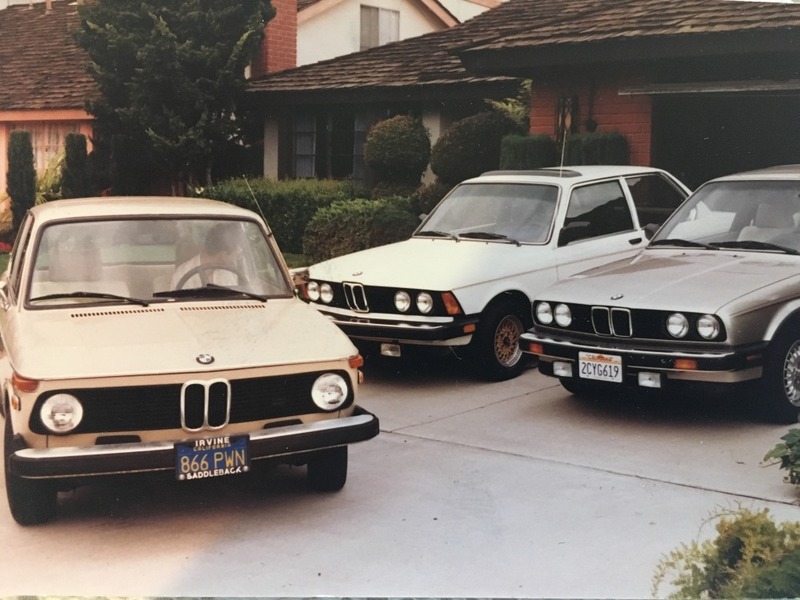 The 320i was bought at Crevier when they were still on 1st Street in Santa Ana 1983 and the 76 was from Vasek Polak BMW. Wish I still had that license plate frame. Wish I still had that license plate frame. he has license plate frames.